In 1922, WDAE in signed on as the first radio station in Tampa Bay. Since then, local business owners have depended on radio advertising to successfully market their goods and services. Using any advertising metric, despite the inundation of new media options, radio remains the most potent way to fulfill the marketing objectives of Tampa Bay business owners of every size. In the age of all things digital, is advertising on Tampa radio still effective? Meet 5 local small business owners who say, YES! Michael Hollander and his family own Weather Tite Windows in Tampa. When he took over the company in 2006, it was deeply in debt and nearly out of business. 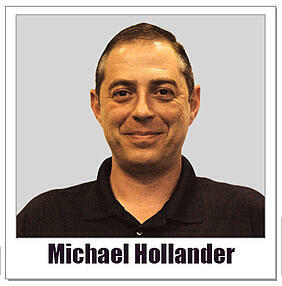 Since then, Mr. Hollander has built Weather Tite into the 24th largest home improvement company in America. Quite an amazing feat for a company that only sells replacement windows and doors. "Advertising on Tampa Bay radio has been a huge part of the company's success," says Mr. Hollander. "Ninety-two percent of our leads say radio is the way they heard about us. The leads we generate from our radio ads cost us $4.00 each. That's almost half of what I pay for leads from other sources." "Advertising on Tampa Bay radio works because every day, consumers drive to work at the same time listening to the radio. They listen again at the same time every afternoon picking up their kids from school. This makes it possible to hit the same people repeatedly with our message." On Tampa Bay radio, I discovered, I could affordably purchase enough frequency to really have our brand sink into our target customers' heads," Mr. Hollander says. What does Mr. Hollander receive from his investment in frequency? According to his in-depth lead tracking process, for every $1 he invests in radio advertising, he gets a $21 return on investment. J on Polizzi owns Electric Today, LLC has owned Electric Today, LLC with his dad and brother since 2004. The company provides residential electrical and air conditioning repairs to customers in Hillsborough, Pinellas, and Manatee counties. 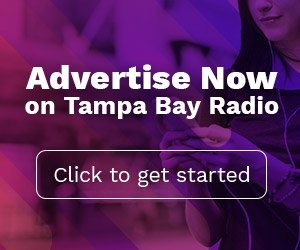 In late 2017, Electric Today began advertising on Tampa Bay radio. The results have been spectacular. "Last year," says Mr. Polizzi, "our business grew 67%. The only thing we did differently was to add radio advertising into our marketing mix. I attribute most of our growth to what we have done on the radio." "Our first attempt at radio advertising did not work so well. We made the mistake of not buying enough commercials to be effective." "We then started advertising on Tampa radio every week with very high repetition, and that's when we started getting results," says Mr. Polizzi. "Our return on investment (ROI) has been really good." Advertising on Tampa radio serves primarily as a branding tool for Electric Today. "I don't expect when someone has an electrical problem they will wait around for our commercial to come on the radio before calling, "says Mr. Polizzo. "Surprisingly, though, it does happen." "Just the other day, we received an email from a customer who said, "I just heard you on the radio and I need my lights fixed. But that's really not why we advertise on the radio." 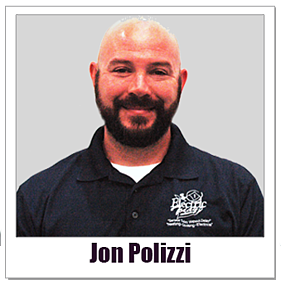 Mr. Polizzi reiterates, "I know if I can beat my name into someone's head enough times, they will know us when they need electrical or air conditioning repairs." If you were one of the 2,193,604 consumers who tuned-in to a Tampa Bay radio station this week, then you probably know real estate agents Andrew and Angela Duncan. The "Duncan Duo", as they refer to themselves, have been advertising successfully on local radio since 2009. "When we first started advertising on Tampa radio, our growth trajectory really took off," says Mr. Duncan. "We had been selling 100 homes a year. But when we invested in radio advertising, our sales began growing by 50% every year." "Most Tampa Bay real estate agents were concentrating their advertising on bus-benches, newspapers, and home magazines," said Mr. Duncan. "Nobody seemed to be advertising on Tampa radio, so based on what we learned from the other successful agents, we decided that's where we would invest." 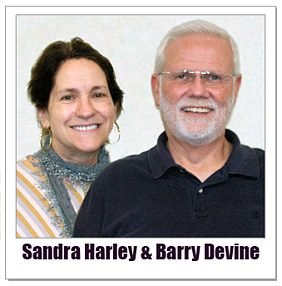 "We started with a $3000 per month schedule on one radio station. After about six months, our advertising began to deliver a positive return on investment. So, we started increasing the number of commercials we were running and adding more radio stations." "We now advertise on six radio stations with a budget at a multiple many, many, many times higher than our original budget," says Mr. Duncan. "As a result, this year we will sell 1000 homes resulting in $250,000,000 in volume. We know that every $1.00 we invest in advertising on Tampa Bay radio will return $5.00 in sales. This is a tremendous ROI when we are competing with 10,000 other local real estate agents." "Compared to all the other forms of advertising we have tried, radio advertising delivers our best ROI." 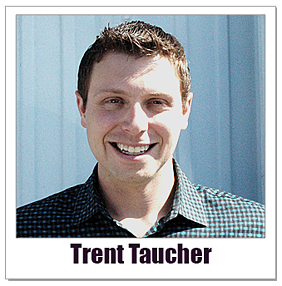 "Radio advertising is a huge part of our success," says Trent Taucher. His family has owned Budget Heating and Air Conditioning since 1992. "The constant repetition of our unique message on Tampa radio stations drives new customers through a door every day." "When my dad started the business, we were a traditional selling and installing heating and air conditioning in homes and businesses. That's how it was for the first eight years," says Mr. Taucher. "Then in about 2000, our business model changed. We eliminated installations and began selling equipment directly to both residential customers and contractors from our warehouse." "The success of our new business model depended largely on word-of-mouth. We quickly generated plenty of it with radio advertising." After about three months of radio advertising, our store traffic shot-up," says Mr. Taucher. "That's when the ads really started paying for themselves. So much so, that in 2018 we increased the number of radio stations we advertise on." Mr. Taucher says that nearly 50% of his advertising is paid for with co-op funds from his primary manufacturers including Goodman and Rheem. "It is so simple," says Mr. Taucher. "Our vendors have made it very easy to prove, claim, and collect our co-op. It surprises me that so many other businesses leave so much of their co-op unused." Hungry Howie's is the 12th largest chain of pizza restaurants in America based on sales volume. The company has 551 locations. Seventy-one of the stores are in the Tampa Bay area. For the past 33 years, advertising on Tampa radio has helped Hungry Howie's grow from just 20 locations in the Tampa Bay area to 210 throughout the state. "Our Florida locations outsell all of the other stores across the country," says Barry Devine, founder of Devine Advertising, a St. Petersburg based small business who has been responsible for Hungry Howie's marketing since 1986. "The only thing we do differently here in Florida," says Mr. Devine, "is we use lots of radio advertising. Far more than the Hungry Howie's locations in other states." To reach people before dinner time, Hungry Howie's dominates afternoon drive time on Tampa Bay radio 52 weeks a year. "Eighty percent of our advertising runs weekdays between 3pm and 8pm" says Sandra Harley, Devine Advertising's media planner and buyer. "To build our frequency we depend on commercials that are 15-seconds or shorter plus traffic report sponsorships." "Because of traffic congestion during afternoon drive time," adds Mr. Devine, "it is not unusual for someone on their way home to hear our advertising two or three times. That's exactly why we are so successful." "Occasionally," says Mr. Devine, "one of your store managers will tell me that we are wasting our money on radio advertising because no one listens anymore." "When they tell me that I offer to give his store a radio campaign at no-charge to invite customers in for a free large pizza. In 33 years, no one has ever taken me up on that offer because, they know, the results would be overwhelming because radio advertising does work."